A Traditional Aikido Dojo and Community. 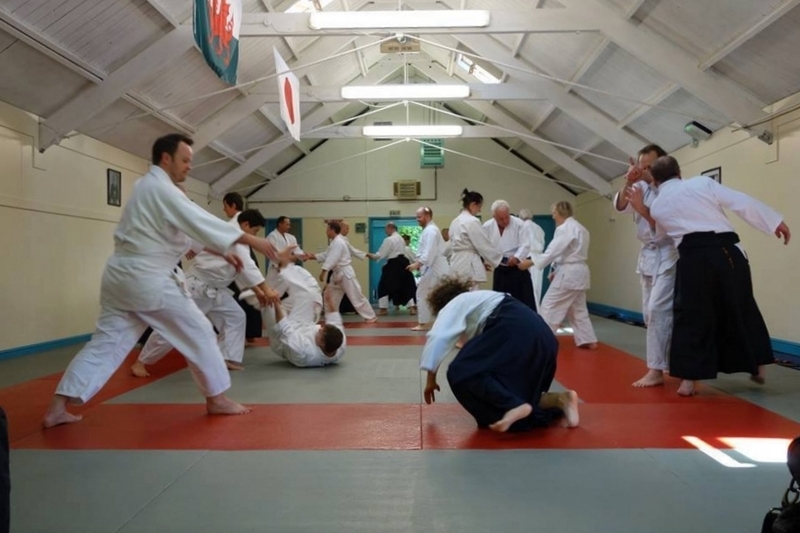 Cardiff Sho-Bu-Kan is a traditional aikido dojo with a friendly community. Aikido is a defensive martial art which involves peacefully redirecting a partner's momentum, rather than striking an opponent. practising aikido is a fun way to stay fit and flexible, and we welcome everyone from complete beginners to experienced aikidoka. Sho-Bu-Kan is a member of British Aikido Federation and the International Aikido Federation. All grades are recognised by the Aikikai Foundation Hombu Dojo. Yudansha (black belt) examinations are performed by a representative of the Hombu Dojo every summer.